Way back in August 2006, scientists decided that Pluto should no longer be considered a planet. Instead, it was classified as a dwarf planet, and our solar system suddenly only had eight "real" planets left. But just because Pluto isn't classified with the big boys anymore doesn't mean that it can't put on a spectacular show for NASA's cameras. 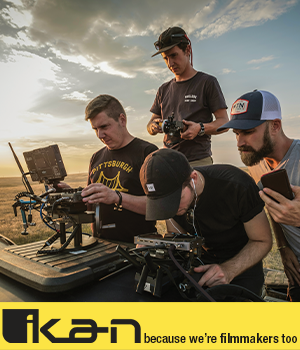 Those cameras are aboard the New Horizons spacecraft, which, ironically, was launched in January 2006, just eight months before one of its primary targets for study was reclassified as a dwarf planet. After checking out Jupiter on its way, New Horizons reached Pluto in the summer of 2015, where it spent about six months scoping out the little planet's secrets. 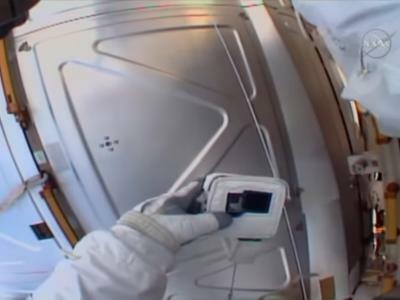 What the New Horizons' cameras revealed is a beautiful and mysterious world. 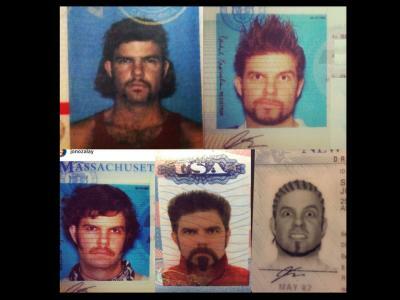 Here are a few of the best photos taken during the mission. 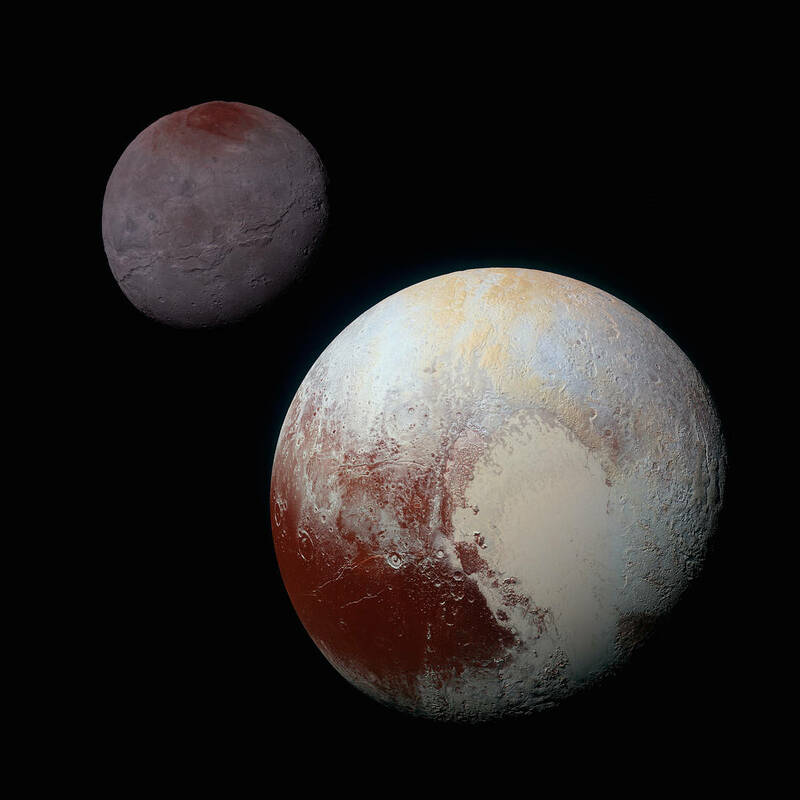 In this composite image, you can see a comparison between Pluto, bottom right, and its moon Charon, upper left. 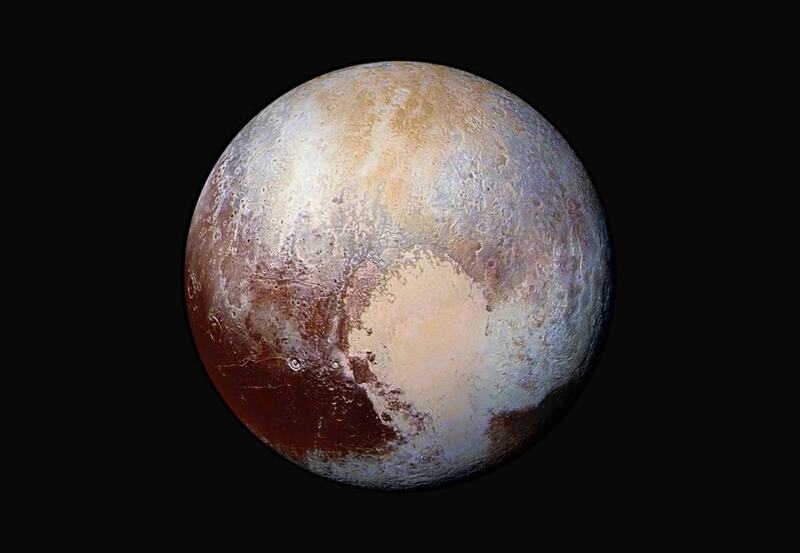 You can also see Pluto's heart. 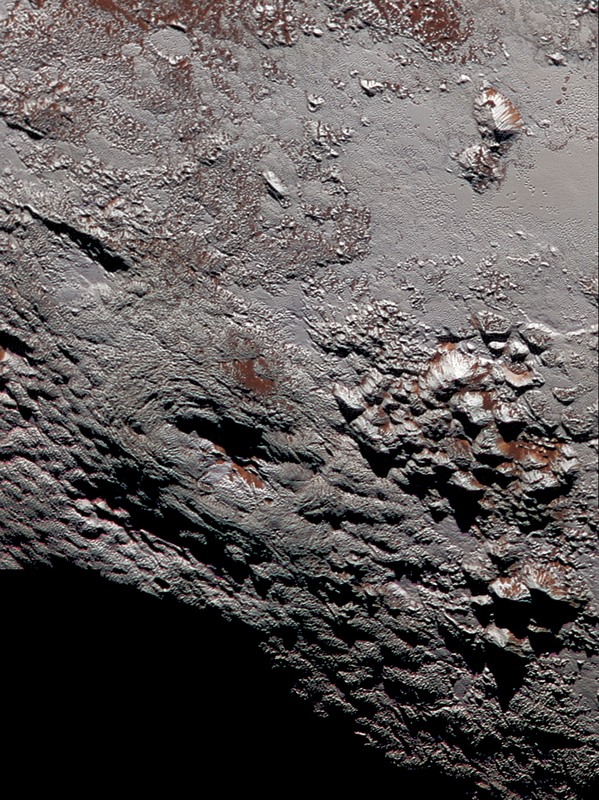 Known as the Tombaugh Regio, this heart-shaped area is one of Pluto's most prominent features. It covers most of Pluto's southern hemisphere, though some of it creeps into the northern hemisphere. The western reaches of the heart are a frozen area of icy mountains referred to as Sputnik Planum. This image shows a thick layer of haze that surrounds the dwarf planet. According to scientists, this haze is what helps control the temperature on the surface - not gases in the atmosphere like Earth. The haze is so thick that as particles from space contact it, they're energy is expelled back out into space. The result of that is that Pluto is far colder than originally thought, dipping down to a cool -333 degrees Fahrenheit. Featured in the photo above is Wright Mons, which is a landscape feature that's about 90 miles across and more than 2.5 miles tall. Scientists suspect that the feature is an ice volcano, though that isn't known for sure. Another mystery about the feature is why the red material is so sparsely distributed. In this image, you can see an amazing diversity of landforms. The dark craters are extremely old while the smooth areas are relatively young. There's mountains and what appears to be dunes as well. This photo is 220-miles wide and was taken by New Horizons on a flyby of Pluto from around 50,000 miles away. On July 14, 2015, New Horizons made its closest approach to Pluto. Just a few minutes later, it snapped this image looking back toward the sun. 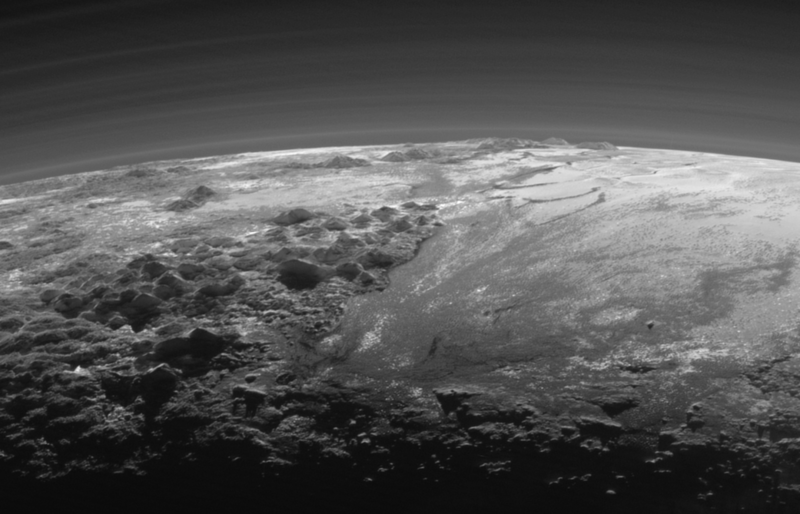 This sunset view offers a glimpse of Pluto's icy mountains and flat ice plains. The smooth area is the aforementioned Sputnik Planum while the mountains on the right extend to about 11,000 feet high. 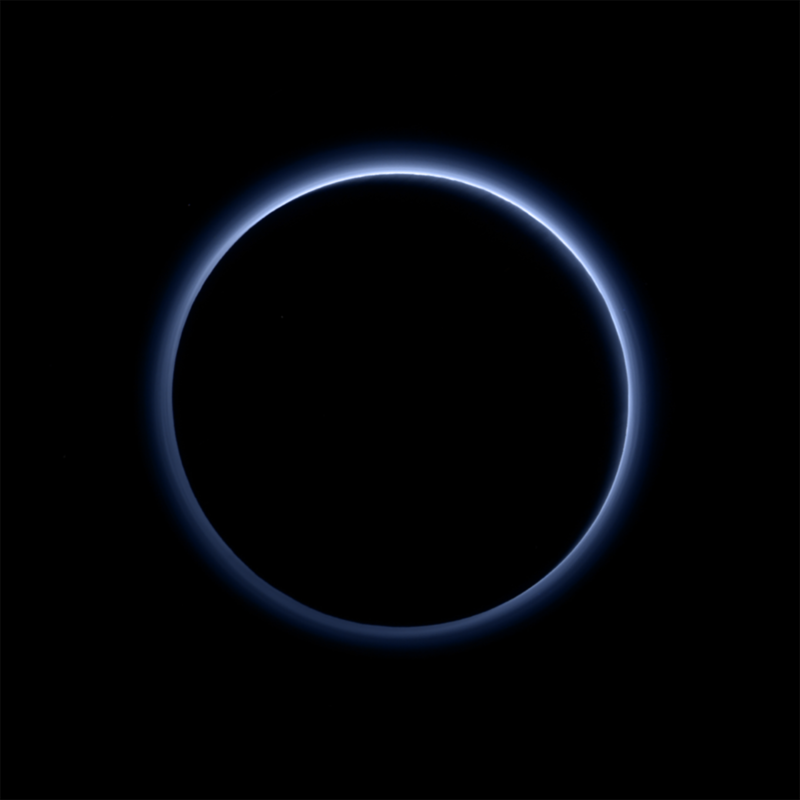 You can also see Pluto's layers of haze in the shot - about 12 of them. This trippy photo was created by using a process called principal component analysis. 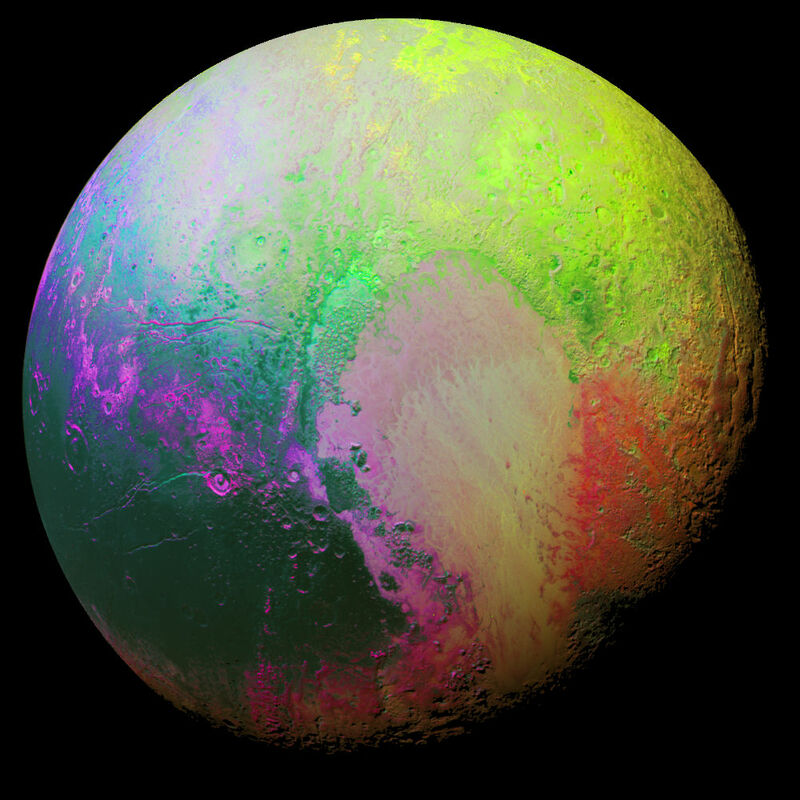 The psychedelic colors are used to highlight the differences between the dwarf planet's many distinct regions. New Horizons' Ralph/MVIC color camera took this photo from about 22,000 miles away. No matter which camera was used or the distance from which the photo was taken, I think you'll agree that New Horizons has managed to capture some pretty spectacular shots of Pluto (with a little post-processing help from scientists here on Earth). New Horizons is now exploring further into the Kuiper Belt beyond Pluto at the very edge of our solar system. 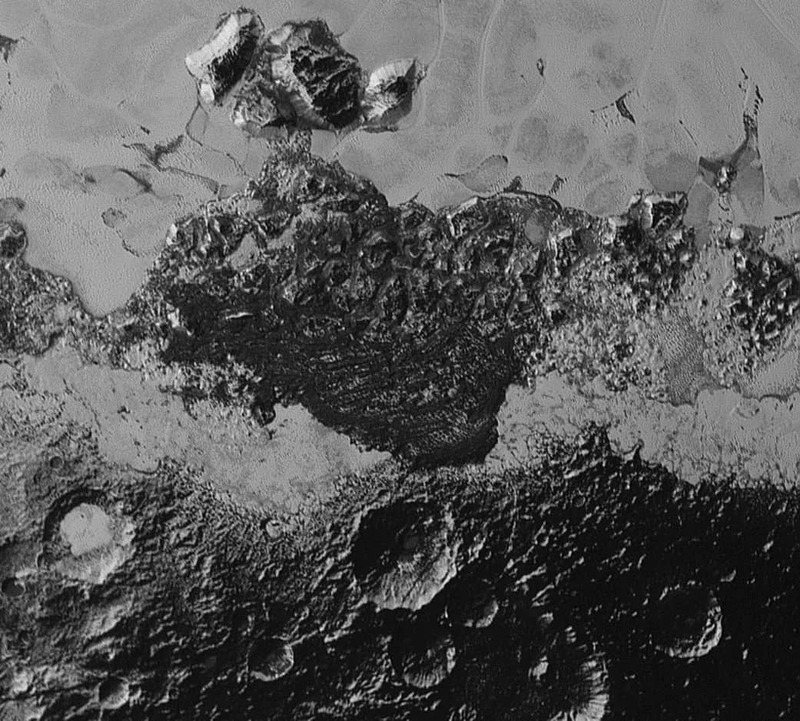 I, for one, can't wait to see what images New Horizons sends back of that area!